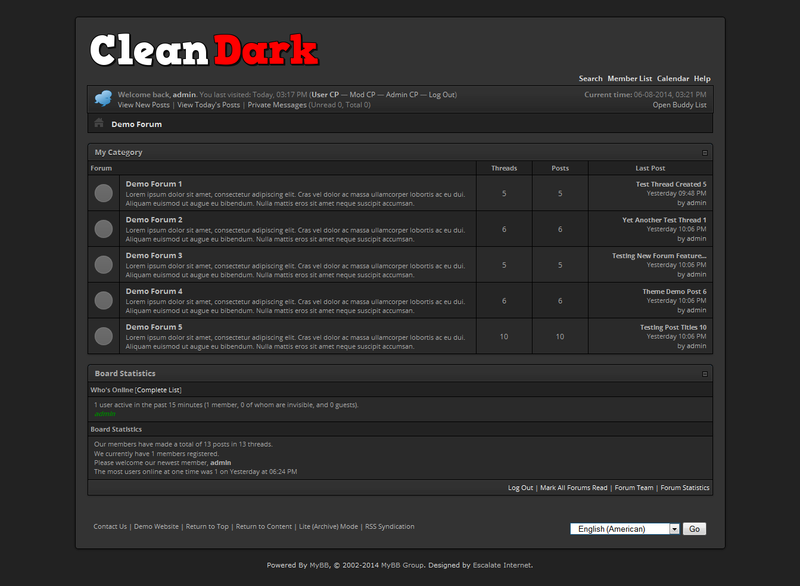 A dark theme originally designed for a gaming site. It can, however, be used on any kind of website. 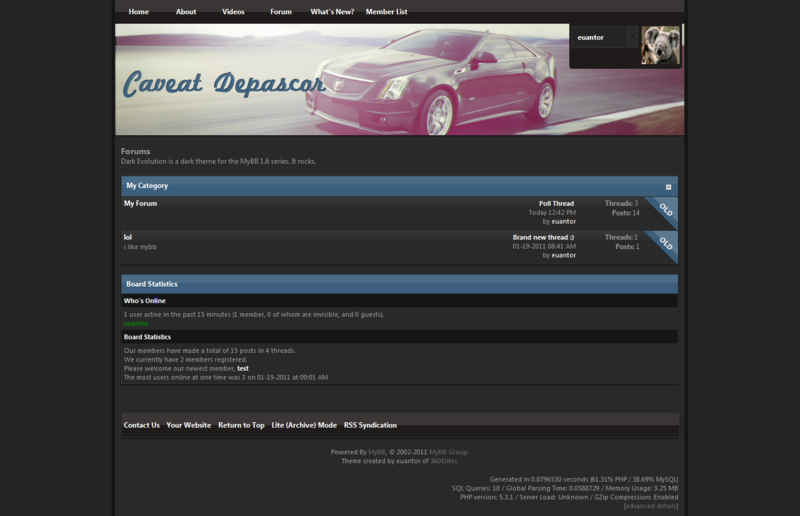 After uploading the contents of 'UPLOAD' to your server, and importing the .xml file, go to the the sites plugins and ACTIVATE the plugin called "Avatars in Thread Listing"! 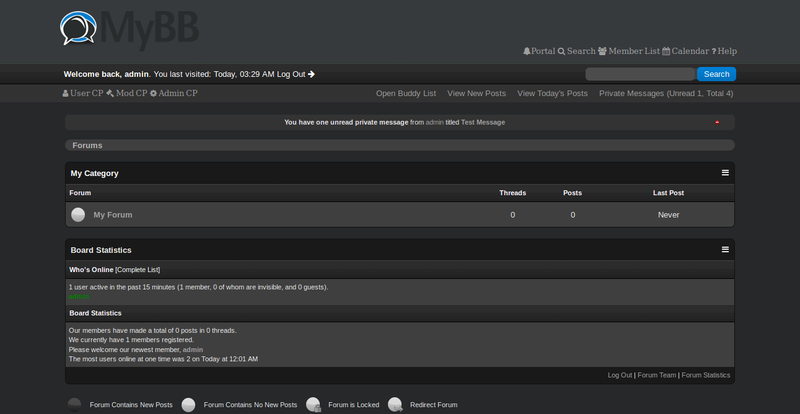 An awesome clean & dark theme for MyBB!